On Tuesday 19th March, to perhaps GSF’s largest ever audience at the National Liberal Club, we were delighted to have the opportunity to host three of our highly distinguished Advisory Board members: the Rt Hon Lord Campbell of Pittenweem CH CBE PC, Leader of the Liberal Democrats (2006–2007); the Rt Hon Sir Malcolm Rifkind QC, Foreign Secretary (1995-1997) and Secretary of State for Defence (1992-1995); and the Rt Hon Jack Straw, Secretary of State for Justice (2007-2010), Foreign Secretary (2001-2006) and Home Secretary (1997-2001). 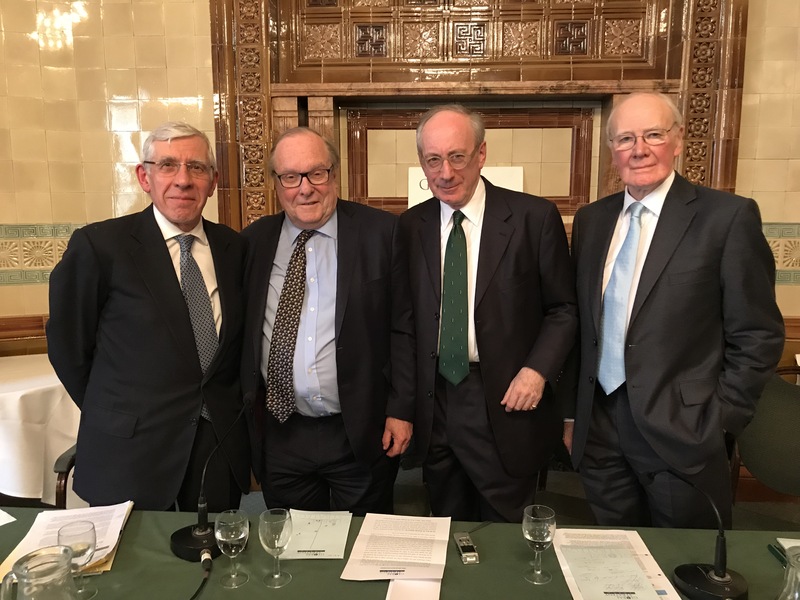 They spoke in a debate entitled ‘Where Does UK Foreign Policy Go From Here?’, which was chaired by Lord Lothian PC QC DL. To listen again, please click here.